The troubled professional rugby star Kieran Foran seems to have an uncertain future in the sport following a difficult 2016. 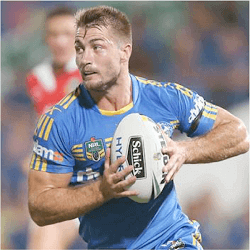 Early in the year Foran left the Parramatta Eels following a string of off field incidents. Rumours have gone around that Foran’s problems started with an alleged salary cap at Parramatta. Foran is also still recovering from a shoulder injury sustained on the field in a winning match between the Eels and the New Castle Knights. The Injury essentially ended his season and now the NRL wish to ensure that Foran is up to full spec before he returns to the 2017 season. This is his second shoulder injury after a 2010 incident removed him from the Four Nations tournament while he was playing for the Sea Eagles. He is set to join the New Zealand Warriors but the NRL have stated that they will only be making the official announcement some time in January. The Integrity unit of the NRL is currently investigating Kieran. This combined with his injury recovery will be the determining factors for his future with the Warriors. The Integrity unit will be investigating gambling rumours that came to light in May of this year. This was after Foran was rushed to hospital in April for a prescription medication overdose. Kieran was also fined and stripped of his role as Eels captain after he failed to show up for his scheduled shoulder rehabilitation treatment and used alcohol while he was injured. Jim Doyle of the NRL has reassured fans that currently the transfer of Kieran to the Warriors is inevitable, but the conditions and timelines associated with the transfer are currently up in the air. With so much speculation and uncertainty surrounding the transfer, it may be optimistic to think that Kieran will take part in the first few matchups of the new year as part of the Warriors. This year has been a stark contrast to the talented player’s early career. He has captained the All Blacks twice, being part of the squad that won the 2014 Four Nations. Kieran will certainly be a big asset for the Warriors but his current mind set and physical readiness is uncertain. It has been a troubling year for the player regarding his gambling, his performance on field as well as personally with his family. 2017 can be a make or break year for this talented player. 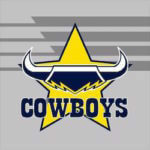 The Possible Expansion of the NRL The closure of Super Ruby’s Western Force has sparked a lot of interest into the expansion of NRL. Chief executive for the NRL, Todd ….